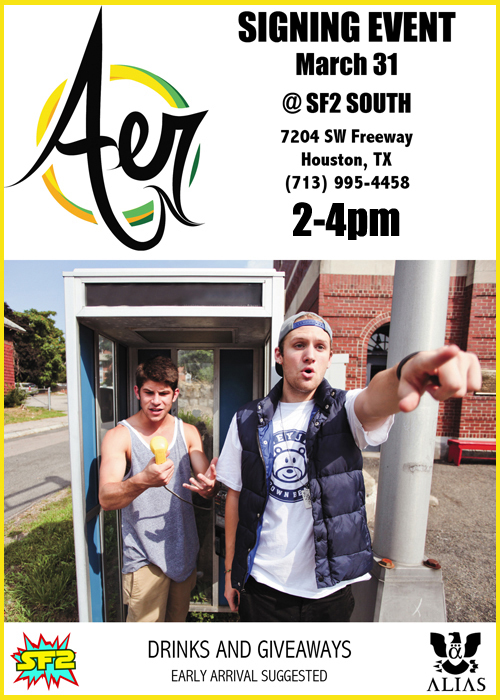 Everyone could use a breath of fresh AER, and on March 31st you can come soak it all in at SF2 SOUTH! Come meet the guys and enjoy some really good music. AER is on a 30 city tour with Hoodie Allen which stops thru Houston on March 31st. We are excited to welcome them to Houston with their first in-store event, something we pride ourselves on! Get up close and personal with these artists because the next time they visit Houston, you might be so lucky to see them like this!